What is sore throat? And how does it work? Cough medicines are not useful in treating cough in children; in fact, recent studies suggest that some cough medicines may be harmful to younger children. Current recommendations from the Australian Government Therapeutic Goods Administration are that cough medicines should not be used in children younger than six years old. Why are people easy to get flu during rainy season or winter? Want to avoid getting the flu? A good start is to know what causes it. This illness is different from a cold. 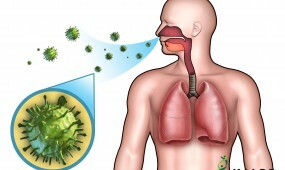 While more than 100 different viruses can cause a cold, only influenza virus types A, B, and C cause the flu. Why Do People Usually Get the Flu in Winter?